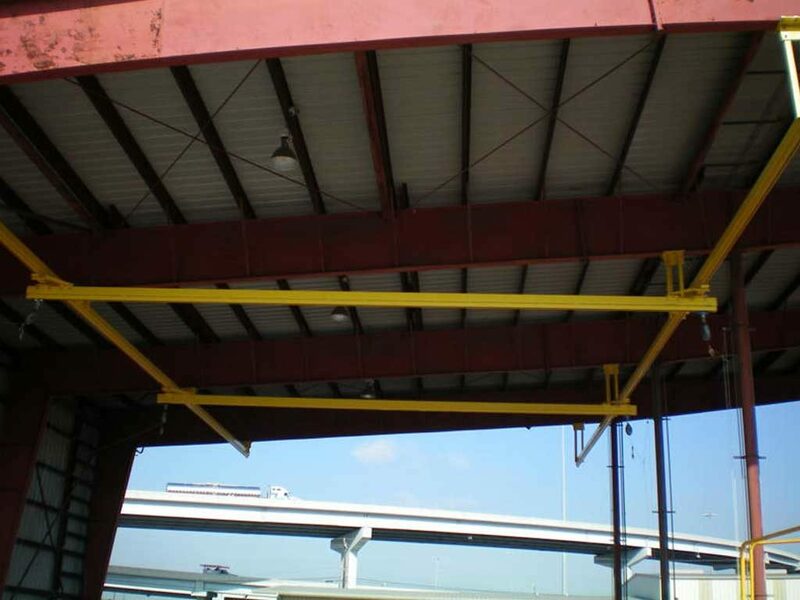 The FLS FlexBridge provides the functionality of our FlexRail rigid rail enclosed track in a bridge format. 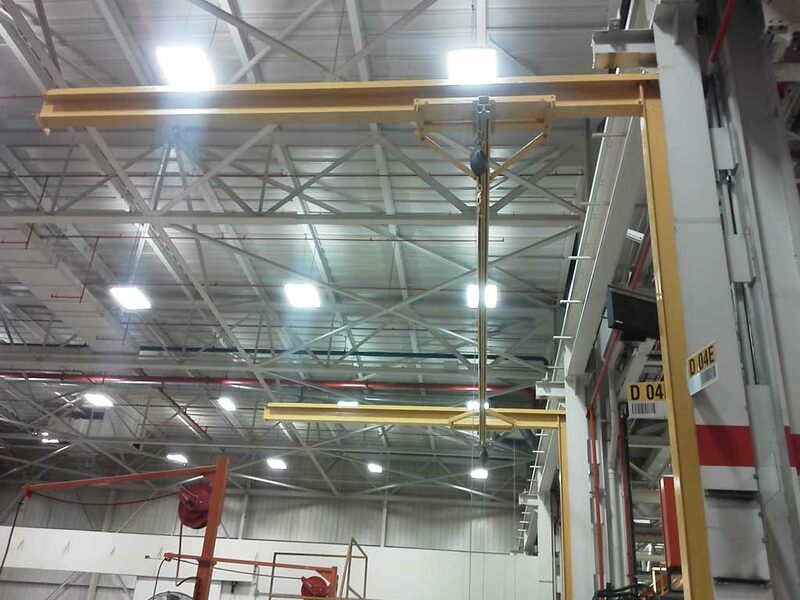 Much like an overhead crane, the FlexBridge can be positioned anywhere along the runway and provide large areas of fall protection coverage. 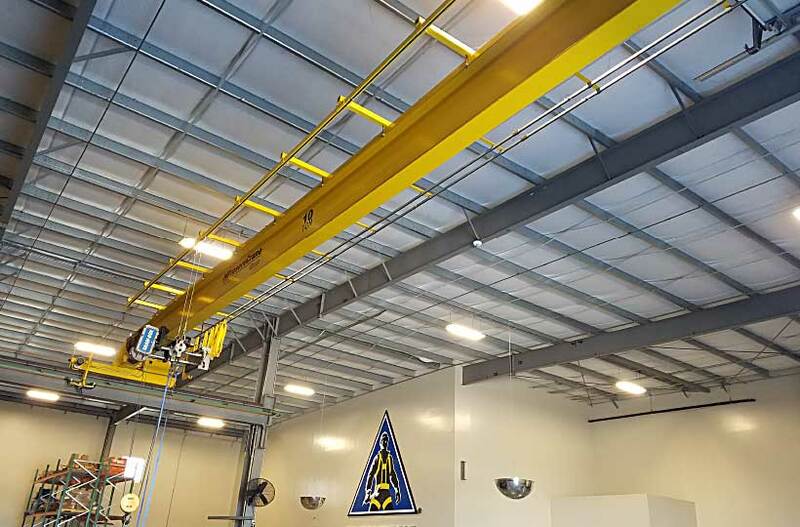 The FlexBridge is an ideal solution in industrial applications with existing overhead cranes or varying areas where fall protection is needed. 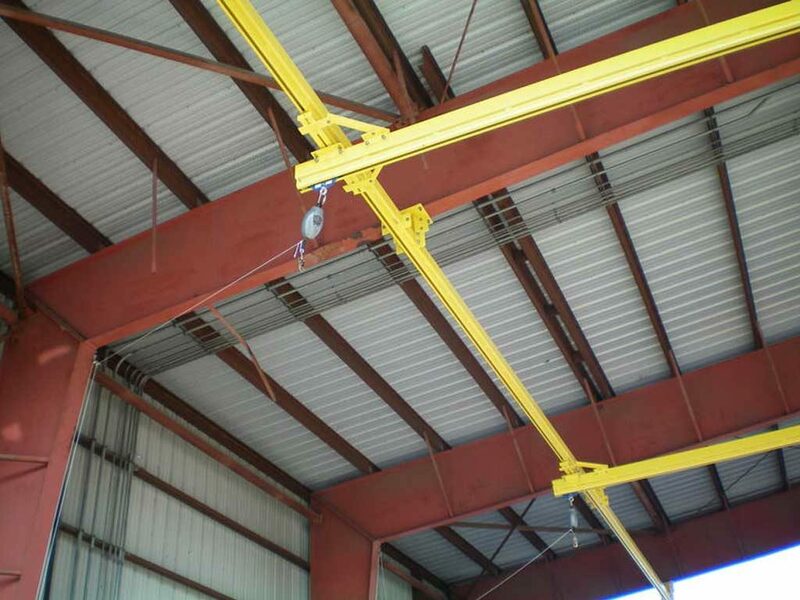 FlexBridge spans from 10′-50′ are available and can be installed on new runways or retrofitted to existing overhead crane runways. 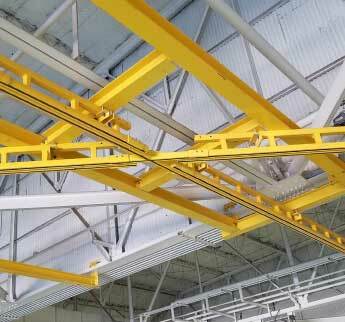 FlexBridge rigid rail systems are available in steel and aluminum. 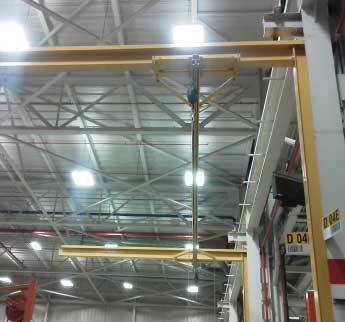 All FlexBridges can be manually positioned without motors. Short span bridges follow the user in all directions while long span bridges (20′-50′) are provided with pull ropes for positioning. 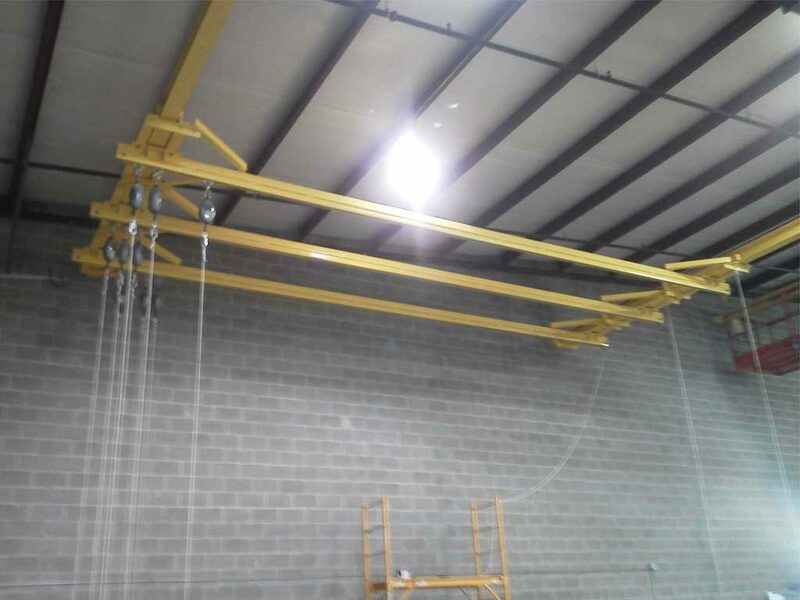 For added flexibility, parallel FlexRail tracks can be provided for bypass capability. 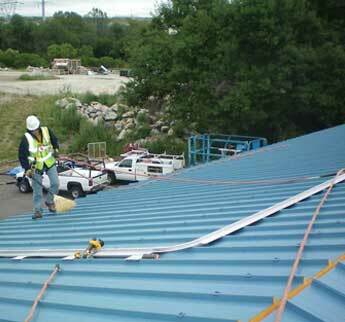 Only the highest quality material is used in the manufacture and installation of each fall arrest system. 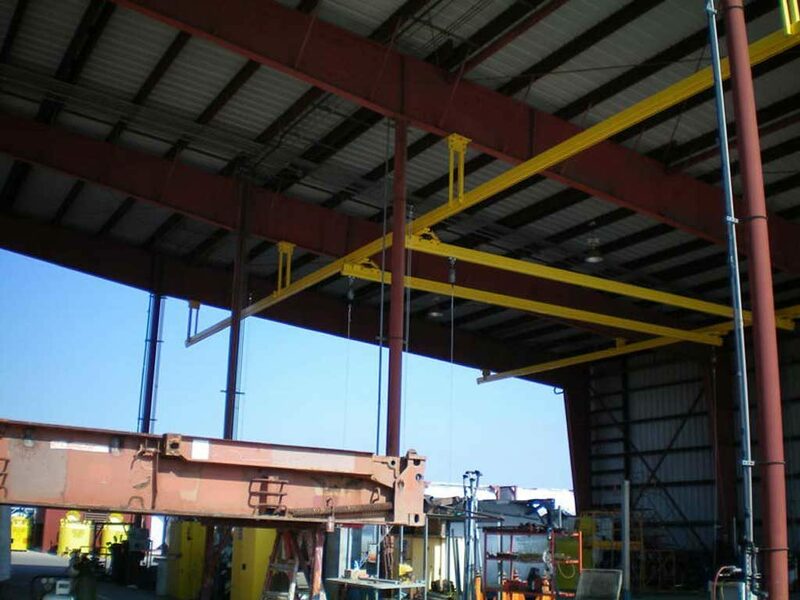 Complies with US OSHA 1910, ANSI Z359.6 and Canadian CSA Z259.2 standards for Engineered Fall Protection. 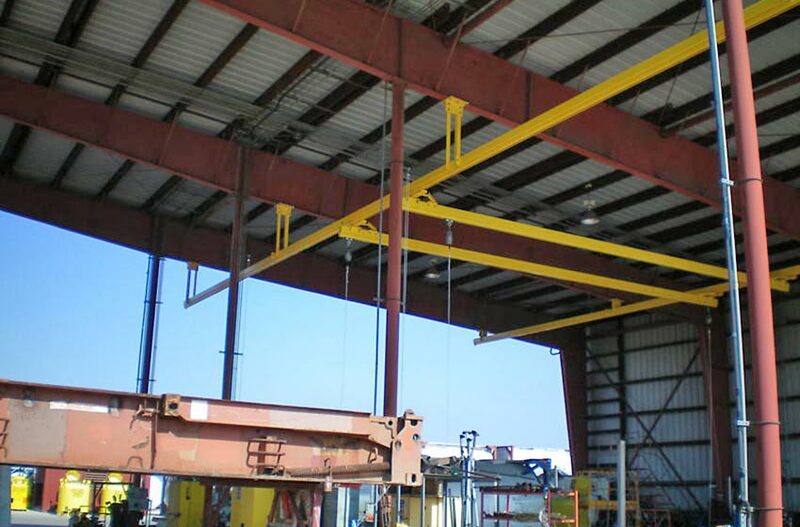 FlexBridge systems and structural connecting components are available hot-dip galvanized or painted for added durability and corrosion control. 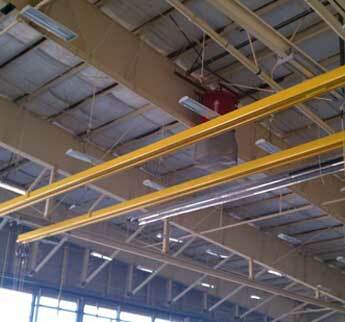 Merfish came as a new customer for Flexible Lifeline Systems, seeking out a fall protection solution for its employees climbing stacks of pipe in order to attach rigging hardware for lifting with overhead cranes. 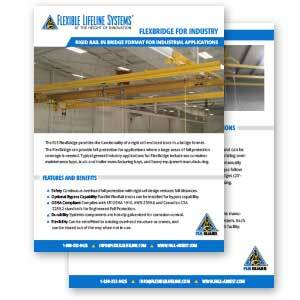 Select below for more information about specific rigid rail safety solutions.